One of the ways I plan on treating myself better this year is by learning more about gut health, a subject that has always fascinated me. My first experiment this week is going to be growing my own bean sprouts. Bean sprouts are full of digestive enzymes, vitamins, high in fibre and protein. 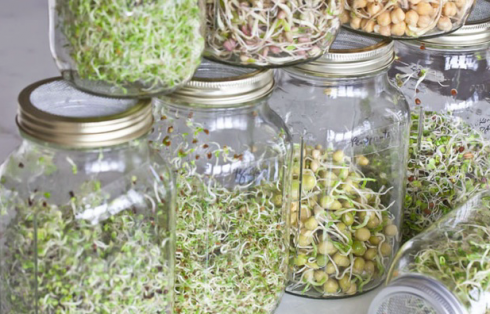 Adding sprouts to our diet can help us to digest our food and maximise nutrient absorption. I met up with my good friend Maria from Life Cleanse to get some tips on how to grow sprouts at home. 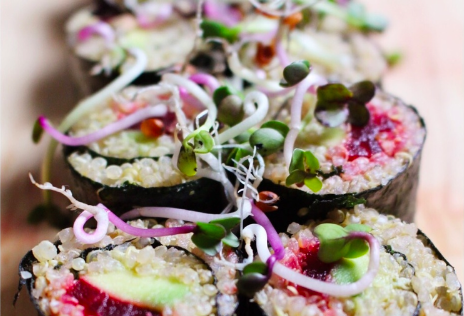 Sprouts are little nutrient power houses! A sprout is one of the first stages in a plant’s life and contains almost all of the nutrients of the full plant, in a really concentrated form. As well as being packed full of nutrients, sprouts also contain lots of enzymes. Our bodies need enzymes to break down food in the body. Our bodies naturally produce digestive enzymes, and all foods naturally have the enzymes needed to break them down however, as we age the enzymes that we produce are depleted and as we heat food we kill off a lot of the naturally occurring enzymes. Adding enzyme rich foods into the diet helps us to more efficiently break down and absorb nutrients from the other foods we eat. Sprouts can be hard to come by and quite expensive. Growing your own is more cost-effective and also means that you know they have not been sprayed with any chemicals or toxins. 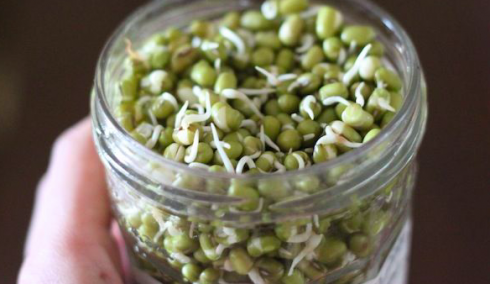 Maria has suggested that mung bean sprouts are the easiest to grow for beginners like me. They need very little attention and grow very fast. They are a good source of energy, vitamins A, C, K, magnesium, zinc and folic acid. Tags: clean living, dairy-free, eat better, education, GLUTEN FREE, live better, TREAT YOURSELF BETTER. Bookmark the permalink.